​What is life without goals? Isn’t it? In today’s scenario, our life cannot be complete without having Goals. With the virtual world buzzing with goals embedded with hashtags like #RelationshipGoals, #CoupleGoals, #FriendshipGoals, we can understand the impact of aims and ambitions in one’s life. Last year end, I got married to the love of my life and together, we have endless goals to accomplish in life, be it travelling or buying our own car to raising our children well, the list goes on and on. But, just having goals without a plan is simply stupid and we need to chalk down ways to save or invest smartly so as to achieve and accomplish our #LifeGoals, agree? 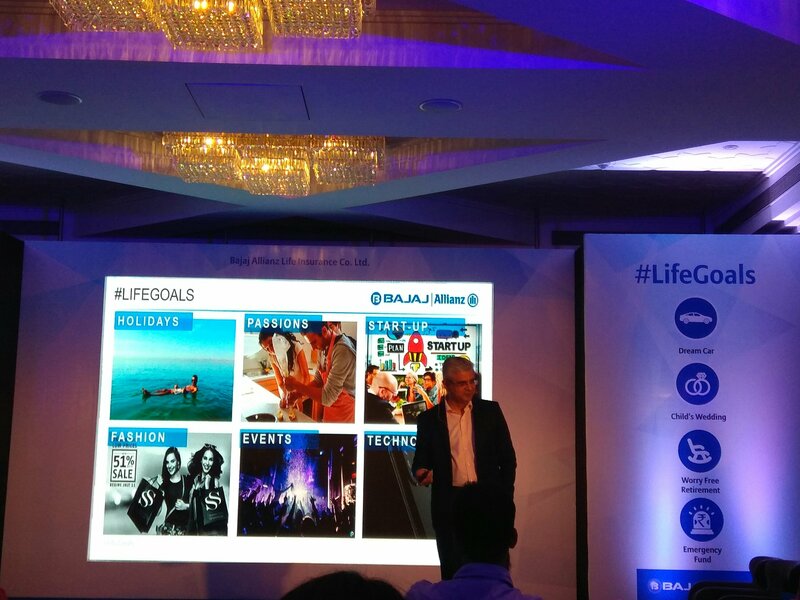 Last Monday, 8th January, 2018, I was invited to this unique and interesting Bloggers’ Meet organized by Bajaj Allianz Life Insurance at St. Regis, Mumbai. The Campaign revolved around the concept of ULIPs which essentially aims at giving the user, a goal-based saving while offering transparency, flexibility and other tax benefits. I pretty much liked the concept and to be honest, it came at the right time in my life: Marriage. Indeed, when we evolve every day, even if it be small, success is inevitable. This was the ideology behind the meet. It threw light on how by investing in ULIPs, one can invest regularly and come closer to living their Life’s Goals without the need to be dependent on anyone except themselves. I’m forever fond of such investment plans as they help us #InvestBefikar and lead a successful life. 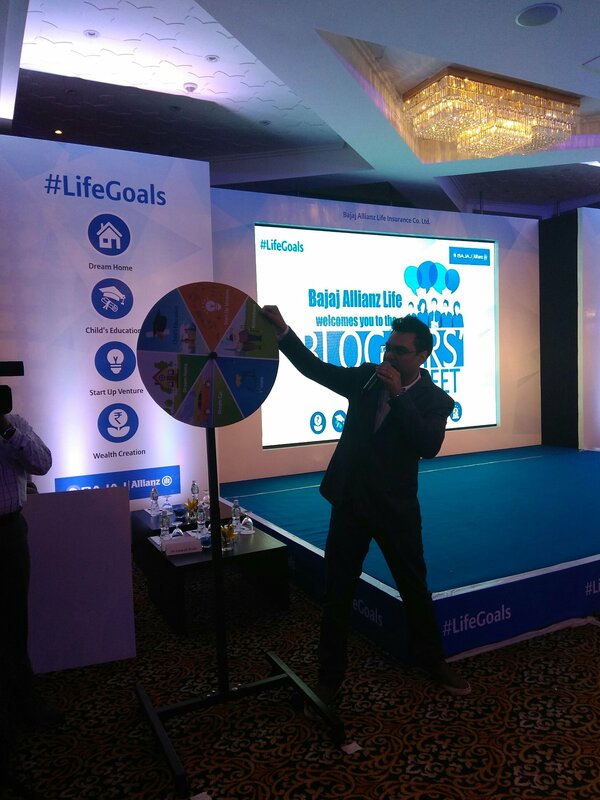 The Bajaj Allianz Life Insurance Bloggers’ Meet began with lunch at 1 PM and later at 2 PM, the meet commenced. The Bajaj Allianz Life Insurance Marketing Manager initiated the meet and introduced us. After the introduction, Mr. Suresh Menon, Comedian gave his hilarious take on investments and the wrong choices he took while trying to invest smartly and achieve his life goals. He was indeed of commendable presence at the meet for giving us a light moment amidst the serious conversation. After this lovely time with Suresh Menon, we had a Bloggers’ Game organized by the team. It was a Dart Game and the bloggers were divided into various groups. Each group had to stand according to their age-group afore the dart, where the youngest of them would stand nearer and the eldest at the farthest. We had to decide on a Life Goal and when the wheel would spin, we simply had to aim at putting the dart at the decided goal. It was a lovely game and of value too. Through this, we understood that each one of us, be it young or old can have Life Goals and the young ones have better possibilities to achieve multiple goals, while the older ones had lesser possibilities. Mr. Tarun, MD & CEO, Bajaj Allianz Life Insurance, then began the session and discussed on the current investment options and the role of each in the market. He also threw light on how, for any kind of investment, one looks out for Safety, Liquidity and Returns. This was 100% true and I completely agree to it. He also talked on how, in today’s scenario, each one of us have started to aim for various goals and keeping that in consideration, he talked on the comparison of various Asset Classes and the best one to choose from them. Mr. Sampath later threw light on Better Investments and how Bajaj Allianz Life Insurance is catering to investments woos with a better outlook. Later, the session was ended with a Bloggers’ Q&A Session where we had the opportunity to share our investment dilemmas with the team or suggest our opinions about the presentation. After this superbly executed session, we took a lot of fun photos at the Photo Booth and networked with the bloggers over Tea and Snacks. 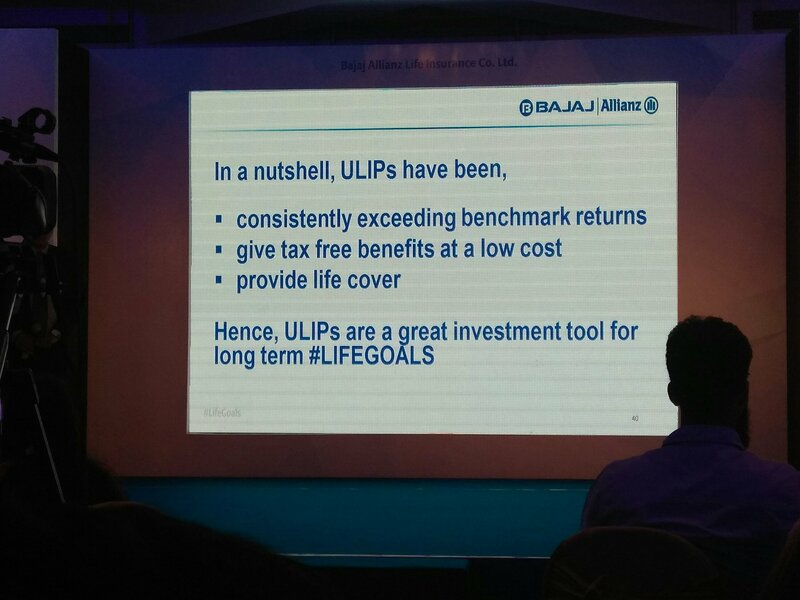 I know you all must be eager to know more about the product launch by Bajaj Allianz Life Insurance. Stay tuned with me, as I’d unravel the details of the Product Launch soon on #akatheversatile. 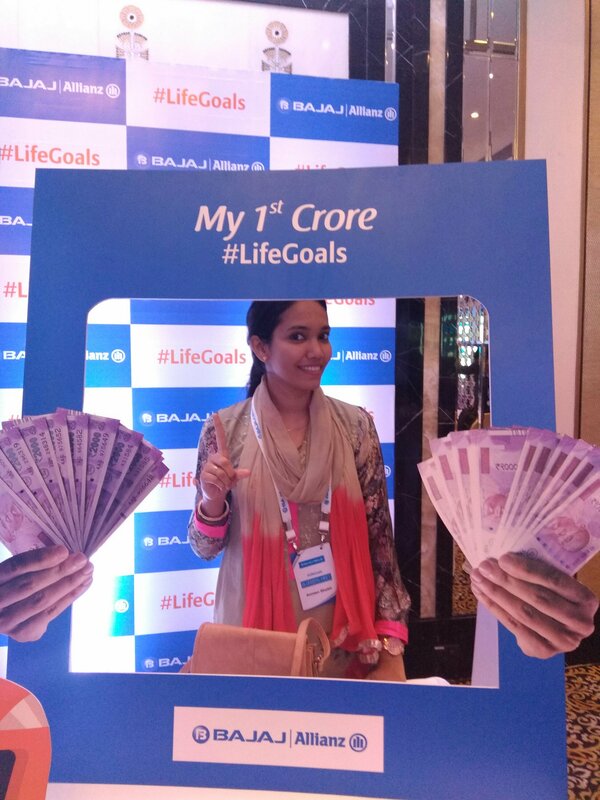 Till then, start setting your #LifeGoals and fulfil them with Bajaj Allianz Life Insurance. Previous Previous post: Why I recommend Sheroes Health Community to Indian Women!